It's the 4th Monday and that means a Guest Designer. 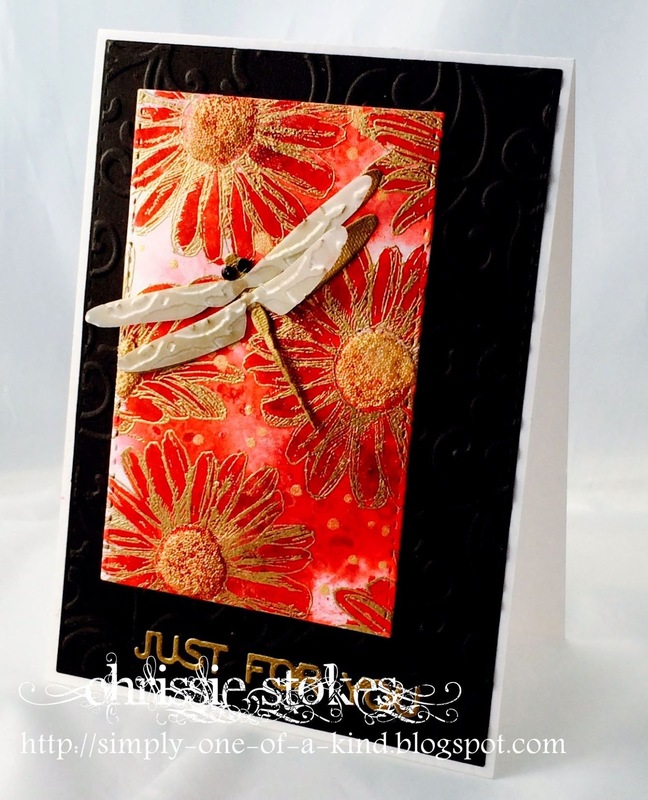 This week's inspiration card is dramatic and summery with an Asian twist. Lots of technique and pretty details - we can't wait to see how you'll be inspired! Stunning card, a really challenge this week with this design. Gorgeous card!. Love the strong colors and dramatic look. Fantastic card! I'd love to participate! !